Open the can of crushed tomatoes. In a large saucepan, brown the ground beef with the minced onion and garlic powder. Drain and return to saucepan. Stir in the crushed tomatoes, BBQ sauce, chili powder and saute for 5 minutes. Stir in the beef broth and let simmer for 10 minutes to allow the flavors to mingle. Season with salt and pepper to taste. 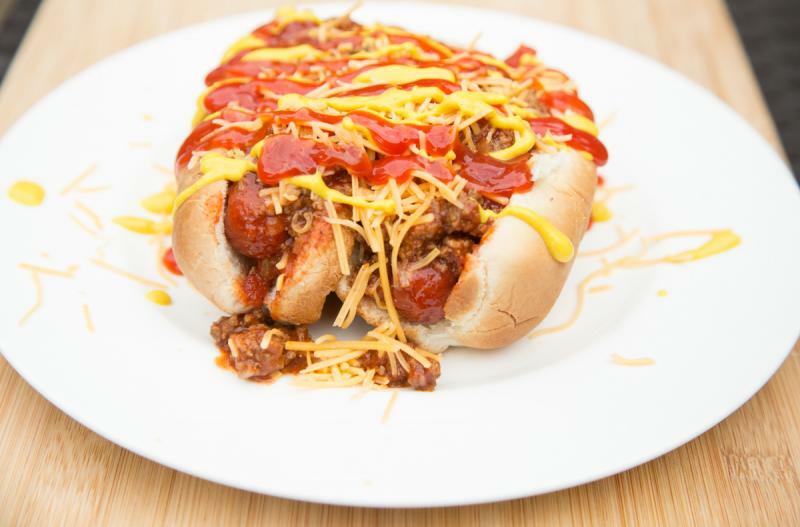 Warm the hot dogs and place hot dogs into buns and top with the chili. Garnish with shredded cheese, mustard and/or ketchup. Serve Coney Island Hot Dogs with chips and fruit. Brown 2 lbs. ground beef with 2 Tbsp minced onion and 2 tsp garlic powder. Let cool. Open 2 cans of crushed tomatoes. Put baggie in the freezer and freeze up to 6 months in fridge freezer or 12 months in a deep freezer. Thaw in the fridge overnight, or a warm bowl of water for about 20 minutes, before transferring all of the contents of the baggie into large saucepan or Dutch oven. Bring to bubbling and cook for 20 minutes. Recipe is dairy-free when omit the shredded cheese topping. Recipe is gluten-free when served without a bun. Thaw and add contents of baggie to large saucepan or Dutch oven. Bring to bubbling and cook for 20 minutes. 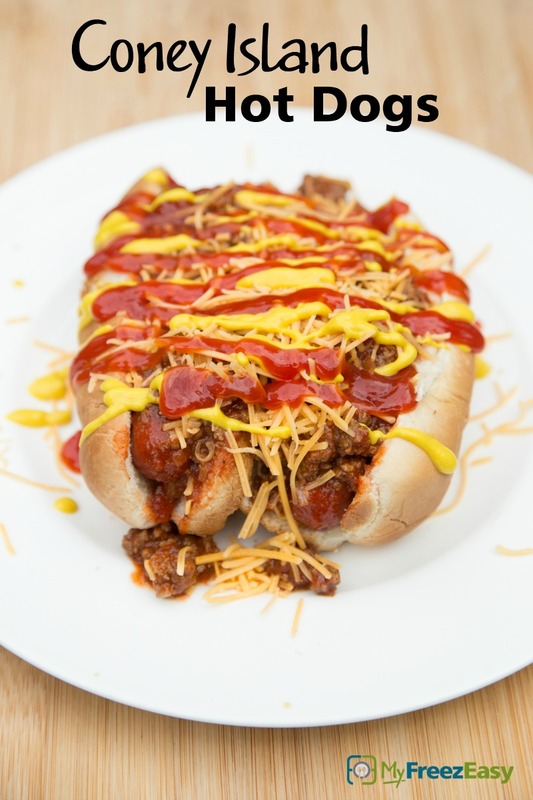 Assemble hot dogs with the chili, shredded cheese, ketchup and mustard. Serve with chips and fruit.